Armenia lost its CSTO Secretary General post? The parliamentary snap elections, attracting great attention within the country, promise victory for the prime minister’s block. In the economy, the reconstruction of the Armenian Nuclear Power Plant and the prolongation of the Russian loan for these works became the central issue. Meanwhile,Armenia could fail to keep its Secretary General post in the CSTO. On November 1, the National Assembly of Armenia at its extraordinary meeting failed to elect the Prime Minister for the second time. In accordance with the Constitution, the same evening the Armenian President Armen Sargsyan declared the parliament dissolved. But the lawmakers will perform their duties until the first meeting of the new parliament and the Prime Minister’s elections on December 31. The Armenian Prime Minister Nikol Pashinyan resigned on October 16. After this, the parliament had two chances to elect a new Prime Minister, and only after these formal trials failed, the parliament dissolution and early elections became possible. The early parliamentary elections will be held on December 9, and the election campaign stops on December 7, with 11 political forces (2 blocs and 9 parties) providing documents for taking part in it. The list of the participants consists of the alliances My Step (led by Nikol Pashinyan) and We, and such parties as Prosperous Armenia (led by Gagik Tsarukyan), Bright Armenia, Republican Party of Armenia (RPA), Christian-Democratic Rebirth Party, Sasna Tsrer, Orinats Yerkir, National Progress Party, Citizen’s Decision, Dashnaktsutyun. According to the local observers and the polls available, My Step will have a convincing victory, while the Prosperous Armenia party most likely will take the second place. The intrigue is about who will overcome the 5% entry barrier – RPA, Sasna Tsrer or Christian-Democratic Rebirth Party. On November 3, the Armenian President Armen Sargsyan signed the Law on Amnesty on Criminal Cases, adopted by the Parliament to coincide with the 2800th anniversary of Yerevan foundation and the 100th anniversary of the first state independence of Armenia. The amnesty was granted to almost 6,500 people and has already been named the most massive in Armenia. 650 convicts were released from the prison; and the sentences were reduced for another few hundreds. The public fears of the criminal situation getting worse in the country did not prove. The law enforcement agencies assure that they keep the situation under control. Yerevan turned to Moscow with a request to prolong the loan for the modernization and extension of the service life of the Armenian nuclear power plant in Metsamor, the only one in the South Caucasus region. The acting Minister of Energy and Natural Resources Garegin Baghramyan told journalists that the Ministry of Finance of Armenia appealed to Russia with a request to extend the loan repayment period and pay debts until 2021. Both the repairs and the negotiations on this topic are still active. And the country would feel the construction effect only after 2020. The general contractor for the overhaul and modernization of the Armenian NPP is Rusatom Service JSC (Rosatom), which oversees the NPP operation extension and the procurement of equipment for its modernization. The plans of the Armenian government include a new NPP nuclear power unit construction as well, however, due to the absence of investors, in 2014 it was decided to extend the NPP operation till 2026. The financing of the Armenian NPP operation extension is carried out with the $270 mln Russian state loan and a special $30 million grant. Depending on the season, the Armenian NPP generates from 30% to half of the total country’s electricity, and it is the main factor in the country’s energy security. On November 22, a regular telethon of the All-Armenian Fund Hayastan was held in Los Angeles. This time, the donations amounted to $11,109,633. The money collected by Armenians from people all over the world will be spent in Nagorno-Karabakh to drill deep wells and organize drip irrigation for the rehabilitation of agriculture and solar energy development. On November 22, Armenia celebrated the 25th anniversary of its national currency, dram. The country’s central bank introduced new banknotes of 1 thousand, 2 thousand, 10 thousand, 20 thousand and 50 thousand drams. The old-style banknotes, as well as 100 thousand ones, will come out of circulation naturally when they wear out. On November 2, the CSTO Collective Security Council removed the Colonel-General Yuri Khachaturov from the Secretary General post. The Armenia representative’s mission in the post finished early because of the accusations against him in his homeland. Khachaturov is accused in the case of “the removal of the state system” on March 1, 2008, with the second president of Armenia Robert Kocharian being the main figure. The heads of the CSTO member countries could not agree on the candidacy of the new Secretary General. Armenia believes this post should remain with Yerevan until the expiration of the office term, but Belarus and Kazakhstan vigorously opposed it. And since all issues in the organization are resolved by consensus, it was decided to postpone the negotiations until 2019. Armenia regained the status of a country with free Internet, according to the Freedom House research (“Freedom on the Internet-2018″). Armenia scored 27 points, having improved its result by 5 points compared to the previous year. 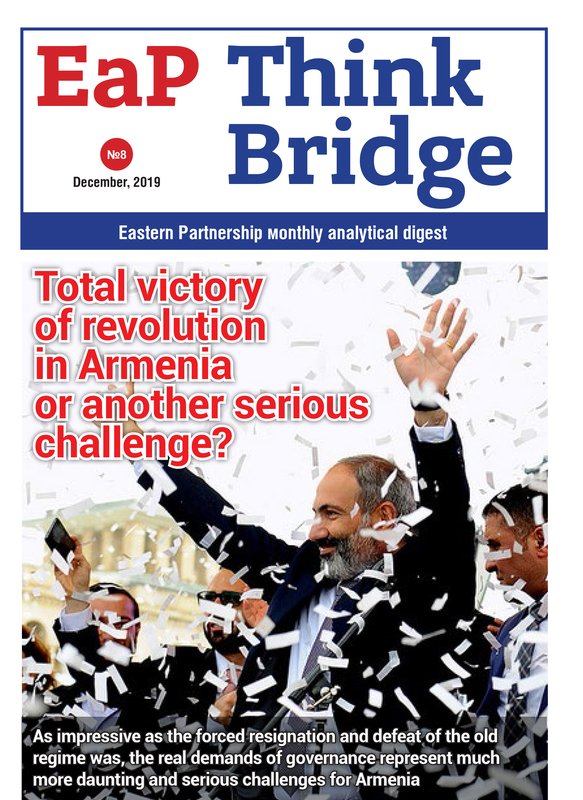 According to Freedom House, Armenia conceded 25 points to Georgia. At the same time, it is ahead of Kyrgyzstan (38 points), Ukraine (45), Azerbaijan (60), Kazakhstan (62), Belarus (64), Turkey (66), Russia (67), and Uzbekistan (75). According to the analysis, a breakthrough was made possible thanks to the active use of social networks by the new Armenian authority representatives, including the Prime Minister Nikol Pashinyan. Their live performances were observed simultaneously by tens of thousands of users.